This rich volume not only deals with political traditions but gives attention to religious and communal intellectual practices. 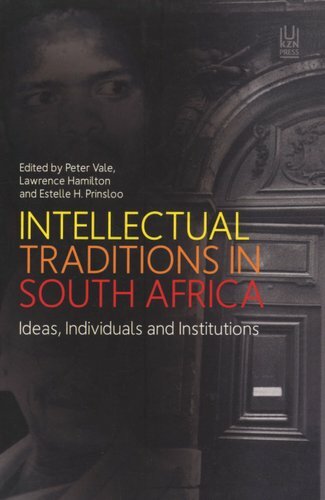 The scope covers interpretations of traditions such as African nationalism, Afrikaner thought, Black Consciousness, Christianity, feminism, Gandhian ways, Hinduism, Jewish responses, liberalism, Marxism, Muslim voices, Pan Africanism and positivism. `Only by rethinking the ideas that made us can we re-imagine the world,' says editor Peter Vale. 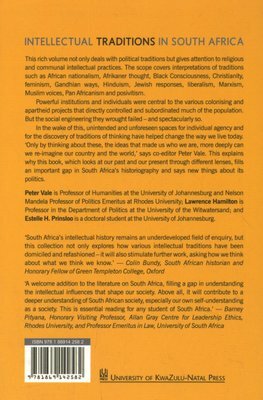 The book's real value comes from the fact that it takes a great leap to rectify large gaps in South Africa's historiography. 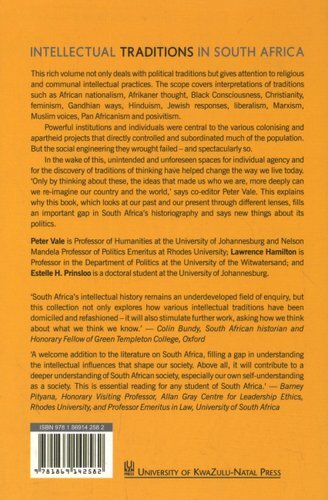 Powerful ideas, institutions and individuals have been central to various colonising and apartheid projects to directly control and subordinate much of the population. This form of extreme social engineering often fails, and generated unintended and unforeseen spaces for individual agency and competing ideas. The result was that even completely totalitarian systems of rule cannot completely stamp out individual human ingenuity and imagination.